The #1804 is seen here in the scrap yard at Klamath Falls, Oregon, on 1 April 1988, shortly before it's sale to the McCloud River. Photo is by and courtesy of Jerry Lamper. 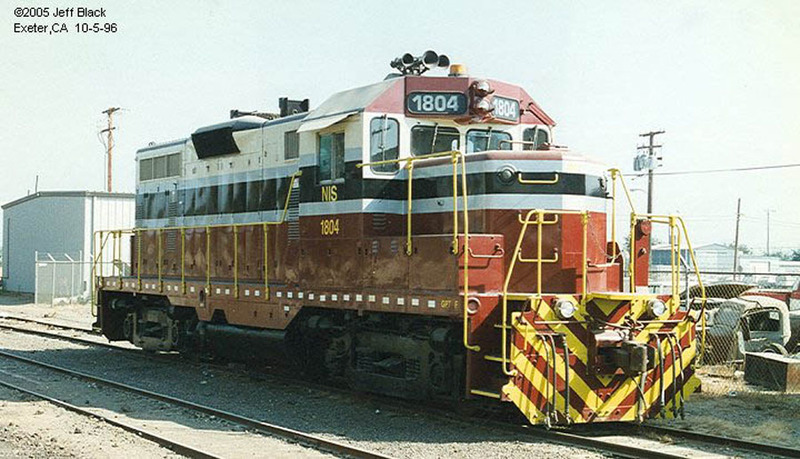 The #1804 sitting behind the McCloud shop building in September 1991. Photo is by and courtesy of Jerry Lamper. The #1804 and #39 cresting the top of Algoma Hill with an eastbound on one of the few trips the unit made over this railroad. Photo from the Travis Berryman collection. #1804 - McCloud, CA, 8/1992. 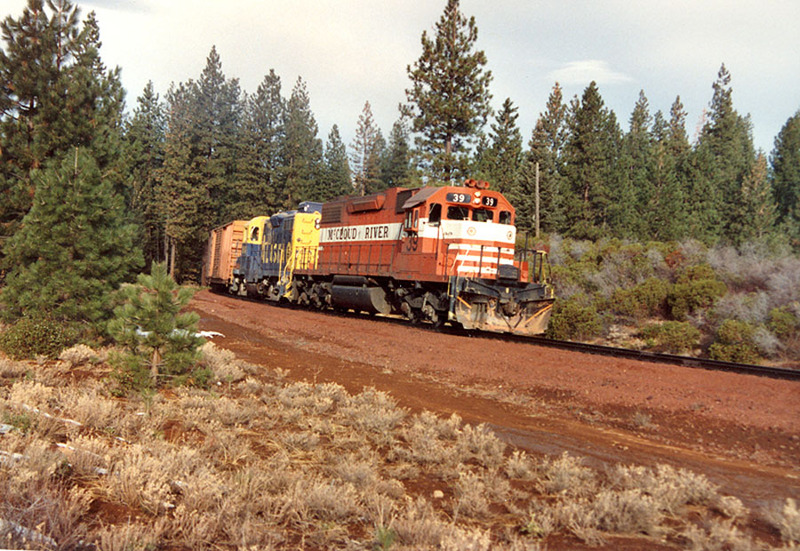 #1804 in Exeter, CA, in 1996. The unit wears the paint job applied for the Under Siege 2 movie and is lettered for Nevada Industrial Switch. Jeff Black photo, courtesy of John Barnhill.